The “old school” way of creating a product strategy is to perform market research and business analysis and then put together a well-planned document that describes the steps to be taken in order to produce the product. Today, however, product development is much more dynamic. A good product strategy focuses on a small number of key elements which will lead to a cost-effective and efficient development process. Don’t do it alone. This should be obvious, but we see too many product managers tackling this task alone. The product manager should be the owner of the process, but he must make sure that everybody’s inputs are considered. You don’t want to get into a dead end right in the middle of a project because the regulatory affairs department dropped a bomb on your desk after a long weekend! Invite key people to comment and modify your plan. Don’t be the only one selling the idea to senior management. Define the “who” before the “what.” I know it’s hard but resist, don’t start working on the product features before you figure out who your customers are. Think about the user and the other stakeholders. Who are they? How will they benefit from using your product? How will you make their life easier? This work will prevent the “inventor syndrome” i.e. developing a perfect product that nobody wants! Identify the business goals early on. How many sales (yearly, monthly) do you want (or need)? What is an acceptable margin? Will the product be delivered with the same business model as the others? In other words, start with the end in mind. Plan and adjust. If you wait to have all the answers, you will suffer from paralysis analysis! 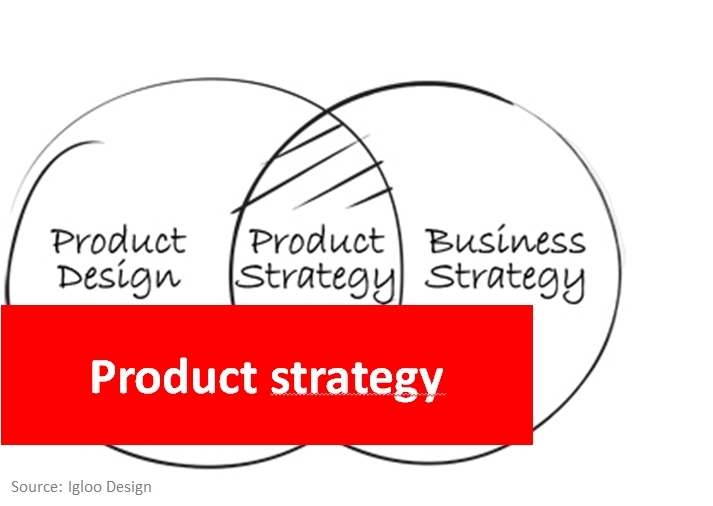 A product strategy will evolve as the project progresses. Start with what you know and improve. Instead of a large scale market research, perform only in-time market research and Voice of Customer research. Start with a “30,000 feet” product strategy document and refine later. You will get more agility out of your innovation process if you keep that in mind. Do you have any other tips for your fellow innovation managers and product managers? Please leave a comment below.